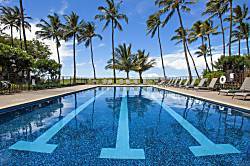 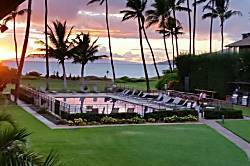 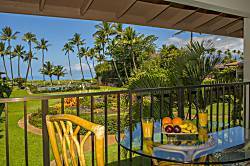 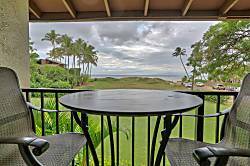 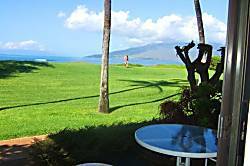 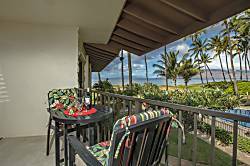 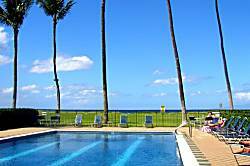 Waiohuli Beach Hale is a beachfront condo complex, centrally located in Kihei and within walking distance to shops and several restuarants. 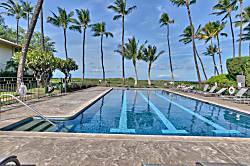 The complex features a large 60 x 25 foot solar heated lap pool, BBQs, and a shuffleboard court. 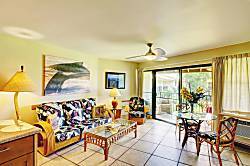 Some units have air conditioning in the bedrooms. 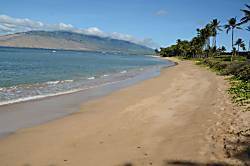 Unlike many condos in Kihei, Waiohuli Beach Hale is set back from South Kihei road giving it a more quiet atmosphere. 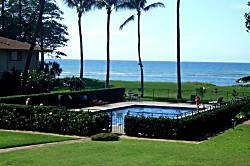 The beach in front of the condo is great for long walks..
Unit 117 at Waiohuli Beach Hale is a ground floor, 1 bedroom, 1 bath unit with a partial ocean view. 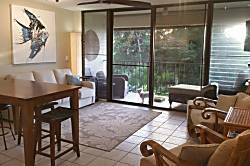 This very clean, nicely furnished unit features a walk out lanai to beautiful tropical gardens and the large ocean front, solar heated pool. 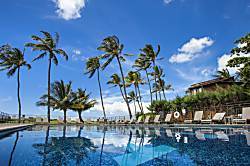 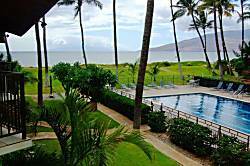 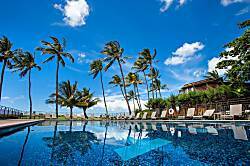 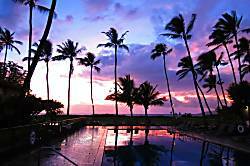 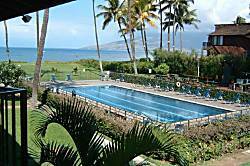 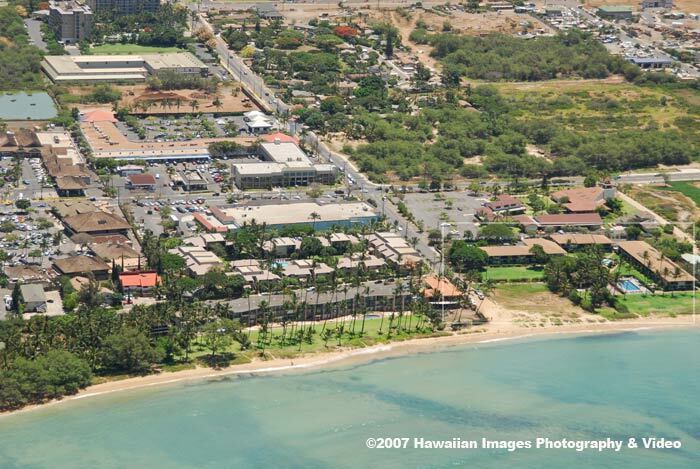 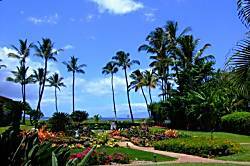 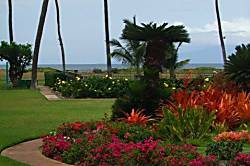 Waiohuli Beach Hale is a small oceanfront complex located in Kihei Maui Hawaii. 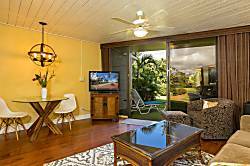 This property has a great aloha feeling with a relaxed and quiet atmosphere. 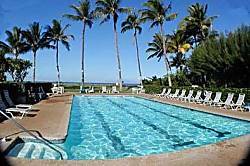 Condo B105 (Sleeps 2) On Ground Floor, No Stairs Easy, Access to Beach/BBQ/Pool.